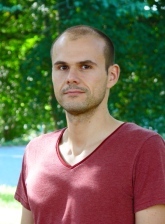 Richard Foltyn joined the IIES as a graduate student in the fall of 2014 after spending the first two years of his PhD at the Department of Economics at Stockholm University. Prior to coming to Stockholm, he received his master's degree from the Institute for Advanced Studies in Vienna. His research mainly focuses on life-cycle and distributional issues in macroeconomics, as well as numerical methods. He is currently working on optimal retirement in a heterogeneous-agent model that can be used to evaluate social security reforms.